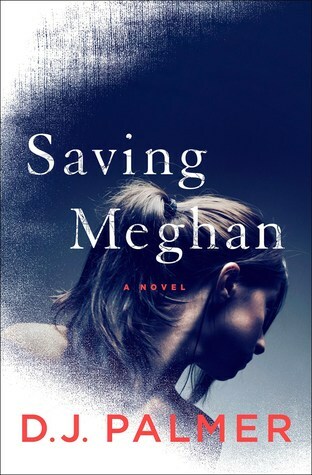 If you only read one book this year, Saving Meghan should be it. It is a great thriller. There has been a lot of hype around this book. And when there is a lot of hype, there is always the worry that the book won't live up to it. I can tell you that Saving Meghan definitely lives up to the hype. Right from the beginning, you believe that Meghan is really sick with a mystery disease. There are so many illnesses these days that are either rare or hard to diagnosis (because of lack of education on the disease or no definitive test exists for it). It is very believable that there really is something wrong with her that no one has figured out yet. And what parent won't go to any lengths to get their daughter well? But as the story develops, the doubts start to creep in. Meghan's mom Becky was raised by a disability scammer. She knows how to manipulate the medical profession to get what she wants. As almost every character, including Becky and Meghan, start questioning Becky's true motivations. Is she making Meghan sick because of some unresolved issue with her own mother? This question is at the forefront of the story as Meghan is removed from the home on the accusation of medical abuse. Perhaps because I've dealt with my own explained illness or because I've known parents that have had to advocate strongly for their child's healthcare, this story really sucked me in. There are clues sprinkled throughout that the points the finger at various characters who of less than pure motives. I didn't feel that these clues for one particular character were very subtle and I was pretty sure that character was behind everything. Yet with these clues jumping off the page, I had to wonder if it was a red herring. There is also a nice twist at the end that fit with the story but wasn't completely obvious. When I started the book at the beginning of the week, I wasn't sure if I would finish it in time to review it today. But it reads really quickly and I finished it in a matter of days. And it isn't just an enjoyable story to read for entertainment. There are some important issues brought up, which would make this book a great read for book clubs. I don't say this often this early in the year, but I'm sure Saving Meghan will be topping "Best of" lists this year. I know it will be on mine. Only a few more days to enter the #JORDWatch giveaway!